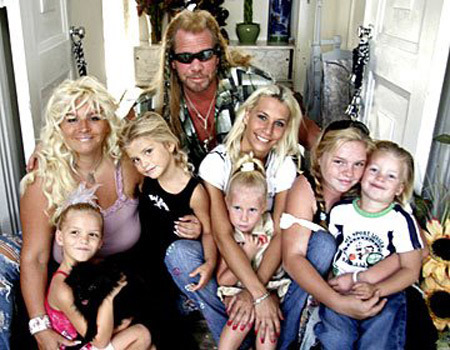 Duane Chapman; American Bounty Hunter is happily Married to Beth Smith. 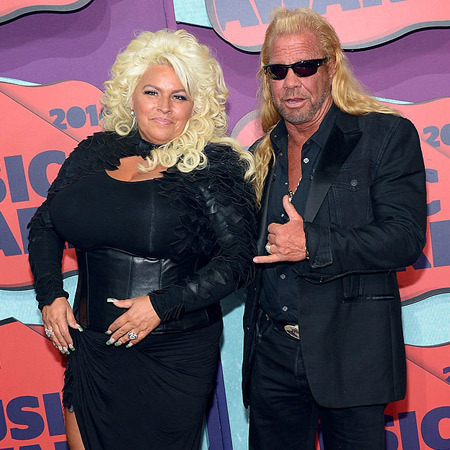 Duane Lee Chapman, famous as "Dog Champman" is a popular former bail bondsman and bounty hunter. 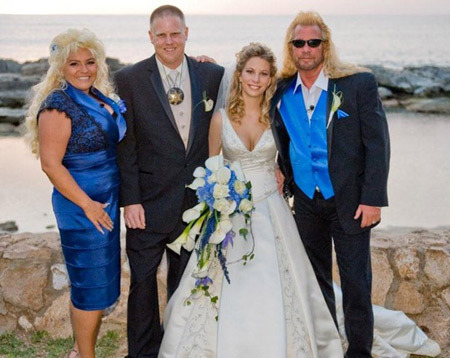 This real-life hero rose to fame after his reality TV show Dog the Bounty Hunter alongside his wife Beth Smith (Chapman) and his entire family. 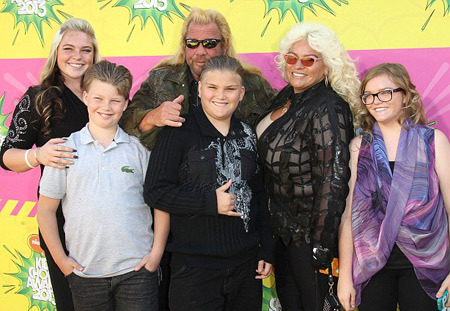 The show was aired back as the sequel, Dog, and Beth: On the Hunt which ended back in August 2015 and now's he's enjoying his retired life with his wonderful wife and family. Let's take a peek into their blissful married life in today's section. Duane married his fifth wife Beth back in 2006. "Fifth" sounds quite crazy but Duane finally became lucky in his fifth trial in marriage. When Beth was just 19, she met the handsome bounty hunter Duane and they started dating right away. Despite their several on and offs during their relationship, they dated for almost a decade and finally tied knots on May 20, 2006, at Hilton Hotel, Waikoloa Village in Hawaii. Despite their several on and offs during their relationship, they dated for almost a decade and finally tied knots on May 20, 2006, at Hilton Hotel, Waikoloa Village in Hawaii. Prior marrying Duane, Beth was married to her husband (identity yet not revealed) with whom she has a daughter, Cecily Barmore. Before this too, she gave birth to a baby boy, Dominic Davis with her high school boyfriend. But despite such failed relationship and marriage, Beth was still hopeful that Duane would never let her down and that has become the ultimate reality as the pair is still going strong without any divorce or affair rumors. As far as he's a badass bounty hunter, there's nothing wrong in saying that he was also a lady hunter back in those days. His relationship started when he was a teenager and he used to date his high school girlfriend Debbie White with whom he has a son, Christopher Michael Hecht. Duane was caught in quite a scandal when his ex, Debbi, committed suicide and he had no idea of the baby. Later on, after many years Christopher finally reunited with his father. After that, in 1972, Chapman married his first wife La Fonda Sue Honeycutt in Texas but after 5 years, they called quits and divorced. The pair share two children together, Duane Lee Chapman II and Leland Chapman. Again in 1979, he went on to marry Anne M. Tegnell but got divorced after 1982. The pair shares three other children Zebediah Duane Chapman, Wesley Chapman, and J.R. James Chapman. Later on, he went on to marry his third wife Lyssa Rae Brittain in June 1982. The pair shares three children together, two daughters; Barbara Katie Chapman and Baby Lyssa Rae Chapman and one son, Tucker Dee Chapman. The eldest daughter, Barbara died in a car accident back in 2006. The pair got divorced in 1991 and after a year of divorce, he married Tawny Marie in 1992. And like his other failed marriages in the past, this too couldn't last that long as they got divorced in 2002. Finally, Chapman met his leading lady, Beth Smith in 1986 and they tied knots in 2006. The pair is living a blissful wedded life without any divorce or affair rumors. 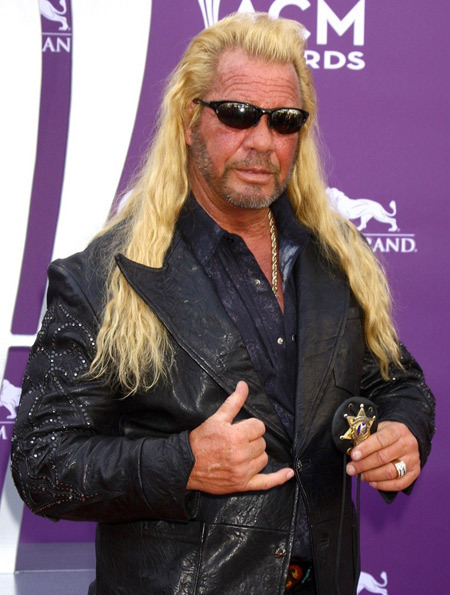 Born and raised in Denver, Colorado, U.S., Duane Chapman is the famous bounty hunter and bail bondsman. His father Wesley and mother Barbara Chapman share three other children and Duane is the eldest one. He's of mixed ethnicity as his mother is German and Father is English. In 1976, he was convicted of first-degree murder and was sentenced to five years in prison in Texas. But he served only 18 months and got out and went on to become a bounty hunter later. 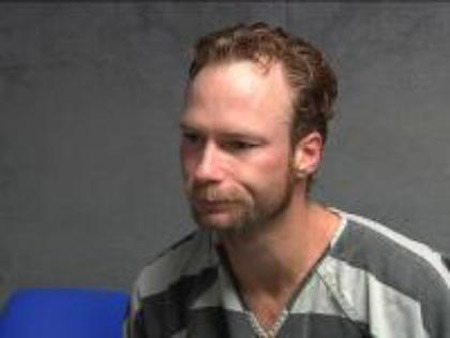 He was also accused of felony due to which he has been barred from entering the UK. He served as a bounty hunter working in Mexico for decades and eventually after being such notorious he got to act in his own reality show of bounty hunting named Dog Bounty Hunter in 2004 and their theme song was performed by Ozzy Osbourne. He has also released his autobiography, You Can Run But You Can't Hide in 2007 that was the New York Times bestseller list. He has made many television appearances in hit shows including Criss Angel Mindfreak, My Name is Earl, Gene Simmons Family Jewels, Hawaii Five and so on. He has a net worth of $6 million. For more recent news and updates keep following our page.